Original features are paired with blackened steel in modular concrete furniture brand Isomi's first factory in London's Clerkenwell (+ slideshow). 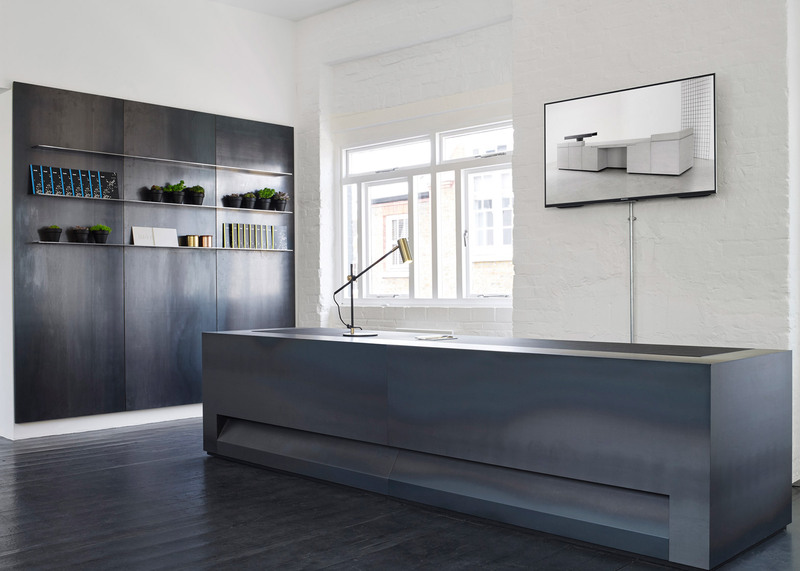 To reflect the UK brand's greyscale aesthetic, Paul Crofts Studio opted for a minimal material palette with dark metal accents when designing the interior. "The concept was to use a reduced material palette which reflects the brands concept of a single material per addition," Paul Crofts told Dezeen. "The choice of blackened steel was partly inspired by the Isomi brand palette which to date has all been in black and white." The studio was keen to respect the existing warehouse building, and has reinstated original features such as a crane and double loading doors. "The building previously had a lift in the centre that was used for moving palettes of paper," said Crofts. "We essentially stripped it right back and inserted the essential exposed services whilst retaining the original character." Visitors enter on the courtyard level, where they are offered an insight into the brand's design process and current direction at a working studio. Upstairs, existing brick walls have been removed to enable natural light to flood the showroom. Additional furniture was purposefully omitted in order for focus to remain on the brand's core collection. As well as heading up his eponymous studio, Paul Crofts is Isomi's design director and is responsible for the brand's product line. "My ethos for the design work I do for Isomi is that the materials should be honest and natural," said Crofts. "By natural I mean used straight from the factory without secondary processes applied." 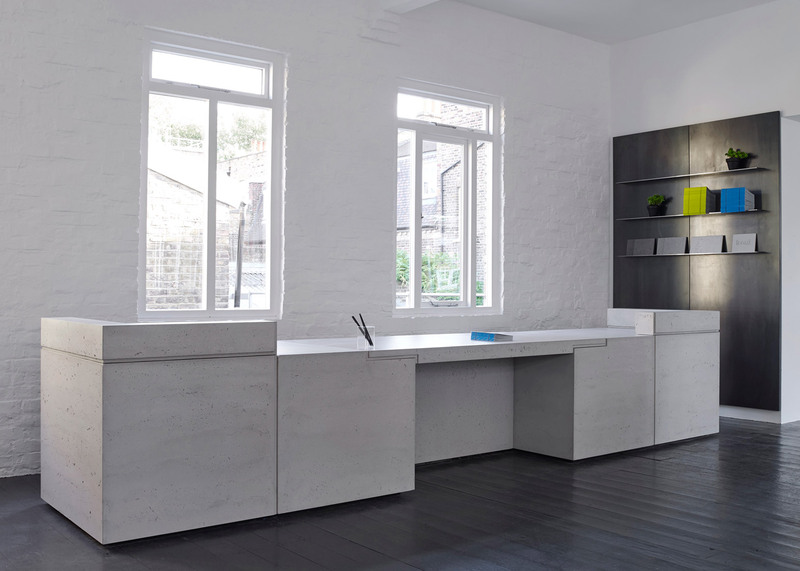 The move to extend the company's output into concrete came about when Crofts began exploring the possibilities of applying the material to furniture products. "I've always been fascinated by the possibilities of concrete," said Crofts. "It is such a structural, pure material, and I wanted to bring its essential qualities to my work for Isomi." The Concrete range includes three modular systems titled Chamfer, Volume and Lintel and launched during this year's London Design Festival – coinciding with the showroom opening. Previously, Paul Crofts Studio submerged seating areas below the floor in a advertising agency Fold 7's office, and added screen-printed tables to a west London crêperie. Photography is by Annabel Elston.